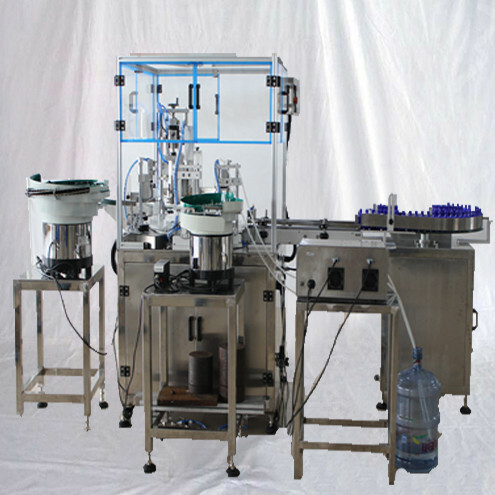 The Good filling machine is the one that Maximizing output and simplify changeovers. 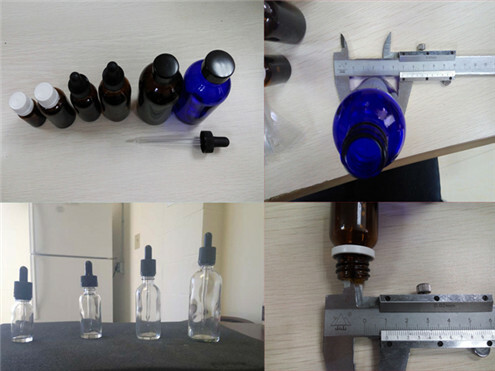 We PENGLAI CHINA has been developing the machinery in dosing small bottles like filling Perfume、essential oil、E-liquid and other daily use fluid materials. 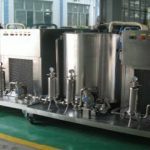 ►Product is king When picking a specific filling machine, a good place to start is to know the exact characteristics of the liquid product. Is it a free-flowing liquid? 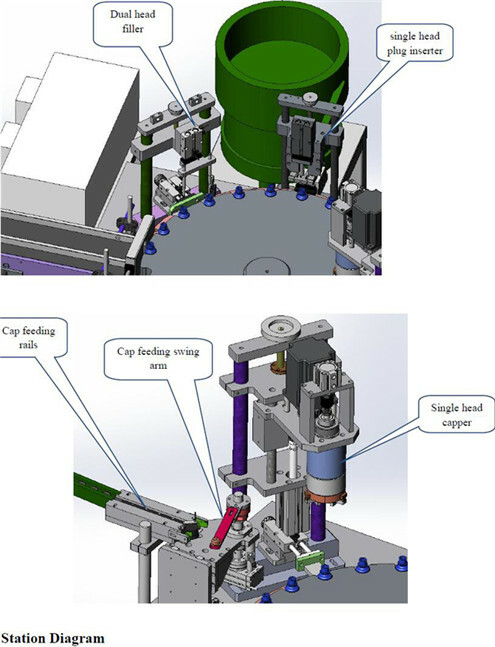 This might work better with a timed-flow fill machine where the same volume of product is delivered each cycle. 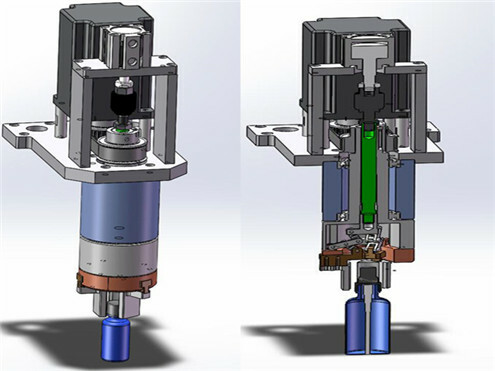 Customers are demanding that new filling equipment is more versatile and can handle a full range of varying productsAdditionally, the fill nozzles are designed for specific applications and can be easily exchanged. can land a company in court. However, overfilling can be costly and wasteful. This means a filler must be accurate and consistently maintain that accuracy over the years. 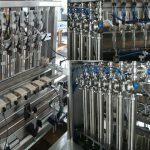 ►Minimizing changeover time through hygienic design With many processors increasing the variety of products to fill, minimizing cleaning and changeover time continues to be a major focus. 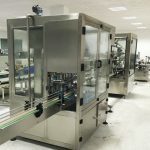 Fillers with automatic clean-in-place (CIP) capabilities have long been identified as a way to speed up the cleaning process. However, Sundberg says this is only possible if the filler bowl and valves have a self-draining design, which traditional piston fillers did not have, but the PENGLAI Unifiller does. 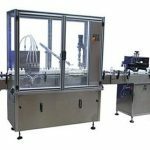 Taking into consideration the 5points to design one machine our model NPACK-50G essential oil filling-capping-labeling line is specially suitable to fill the essential oil. 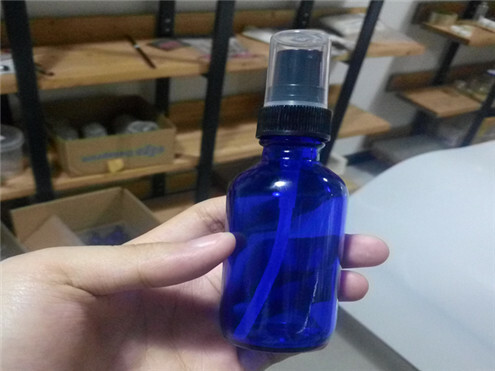 Essential oils and extracts are high value, low viscosity products typically sold in small size glass vials. 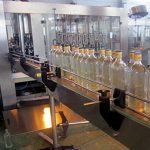 The peristaltic machine is Ideal for these products because of accuracy of small fill sizes, ease of cleanup, and because there can be no cross contamination of different products run on the same filling machine. 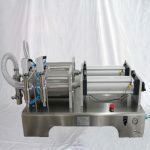 Cross contamination is avoided because the only thing that touches the liquid is the peristaltic tubing itself which is composed of silicone or other inert specialty polymer materials. This tubing is inexpensive and can be easily cleaned, dedicated to a particular liquid, or simply thrown away after use. 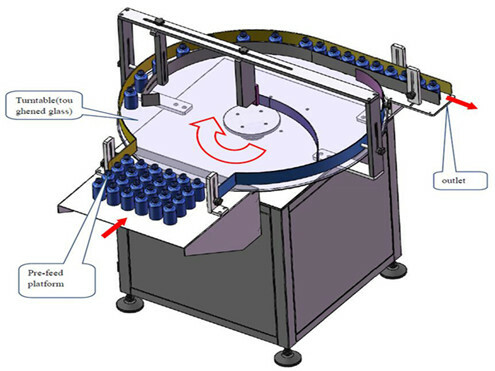 The size of tubing chosen in this machine depends on the fill size and accuracy required. The smaller diameter of tubing used, the higher the accuracy but the slower the fill rate. This explains why this machine is best utilized on small fills where high accuracy is needed. 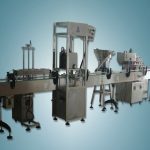 Large fill sizes greater than 1 liter are typically not filled on this type of machine because the fill cycle time can be lengthy. But for a typical fill size of 5 to 10 ml, again this is the ideal machine. 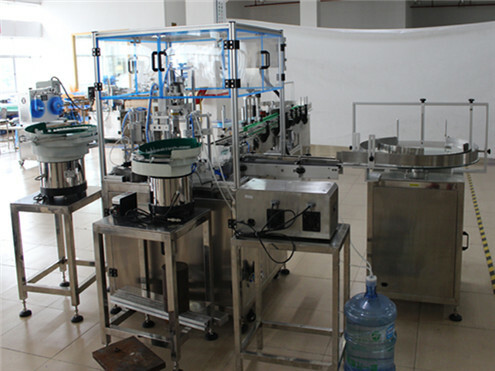 The peristaltic filling machine dominates this industry because there is little to no waste of an expensive product. 1: Before the machine is plugged in, make sure the power switch is in the 【close】 state, and then follow the instructions. 2: The machine should be wiped with dry cloth if it does not run for a long time; corrosive cleaning agent should not be used. 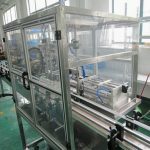 3: It is strictly prohibited to splash liquid into the electricity box of the machine, so as to avoid corrosion of internal electrical components and resulting in short circuit. 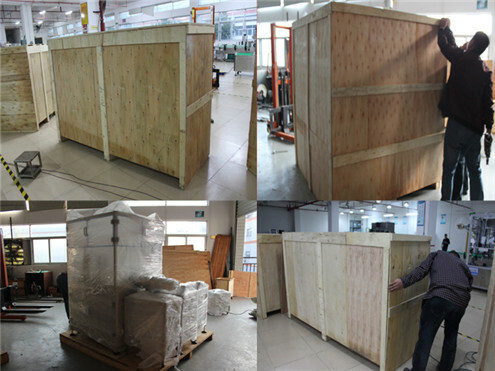 4: According to the equipment packing list, check that the equipment, material model, specification and quantity should meet the requirements of design and product standards, and have certificate of product qualification. 5: Check that the appearance of the equipment should have no deformation, damage or corrosion, the rotation of the rotating shafts should be flexible and without clighting stagnation. 6: This machine is single phase AC 110V, the power plug is flat 2 plug, which should be inserted into power socket with ground wire. 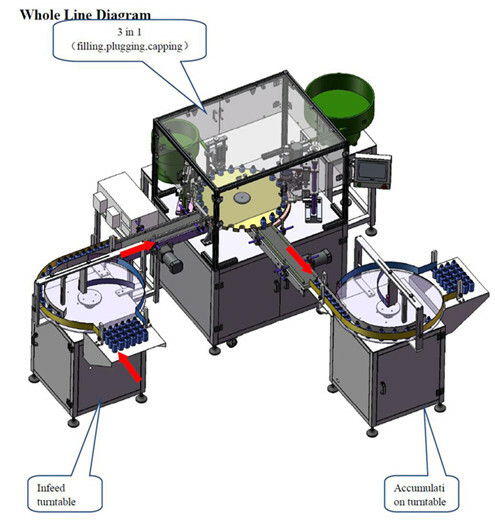 The 3 in1 filling machine is mainly applied for automatic labeling on the product flat or curved surface in various shapes in the fields of medicine, daily chemical, toy and foodAdopted high-precision labeling position is suitable for the product labeling in various sizes.It saves labor and improves labeling precision and consistency.Imported electric eyes and programming controller are adopted to control cylinder labeling; all exposed parts are made from stainless steel, engineering plastics and high-strength alloy aluminum whose surface is treated by anodic oxidation, with corrosion resistance, complying with GMP standard. Line Components Brand or Specification Qty. 1. 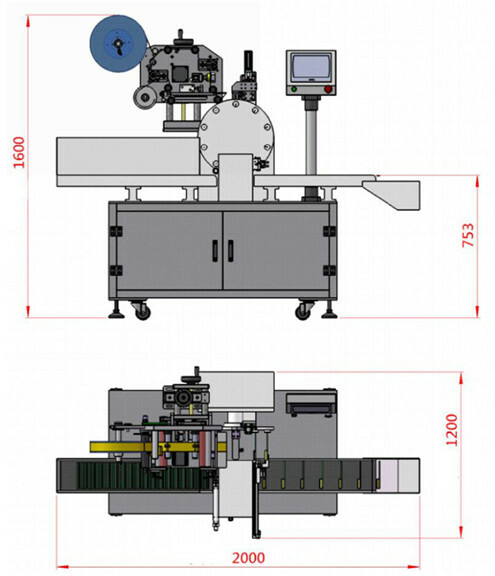 The machine adopts single-phase 1100V AC. Check whether the wiring is correct before starting up. 2. Check whether the air source is normal. 3. 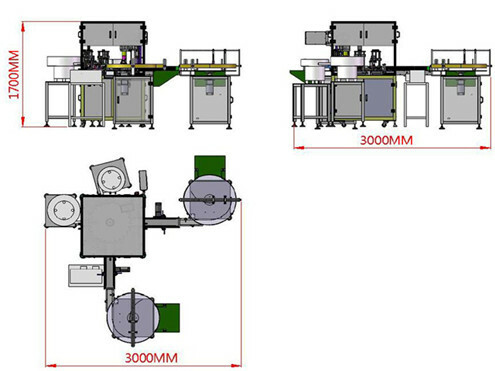 Check whether there are any foreign matters on the machine and mould. If yes, please clear it timely. 4. Check whether the water intake of peristaltic pump is completely put into water. 5. 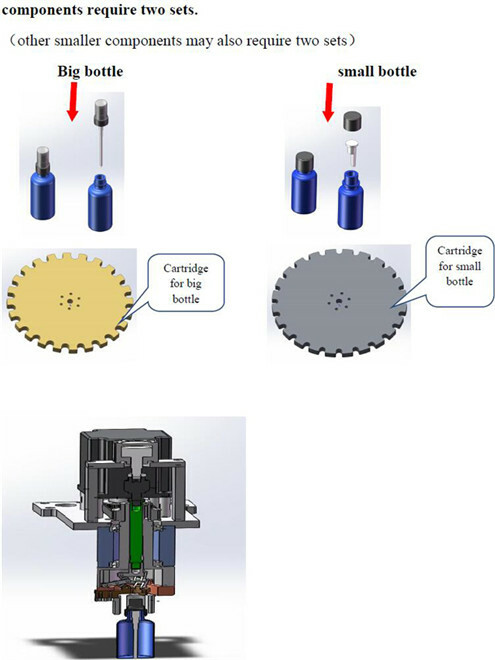 Before it is started automatically, please check whether the needle is alignment with the bottleneck and whether it is available to press the plug.